Testing old chemotherapy drugs in new ways to treat melanoma and ovarian cancer patients who are resistant to treatment. Investigating how UV-light damages DNA and causes melanomas to develop. If we know how UV causes a melanoma we can either reverse it or try to prevent it. I have always loved being a problem-solver. Ever since I was in high school I got really excited about being given a complex maths, physics or chemistry problem and using what we had been taught to figure out the answer. Medical research is essentially the same thing, we find a big problem - for example, cancer becoming resistant to chemotherapy - and we take all the knowledge we have to think about how we could stop that happening or how we could reverse it. There is nothing more exciting than piecing together data and seeing the answer start to appear. Our ultimate goal would be to see all cancer patients have a treatment that works for them. Not necessarily a cure, but treatments that allow people to live long and happy lives, even if that means living with their cancer. We have reached our ultimate goal if people die with their cancer rather than because of it. 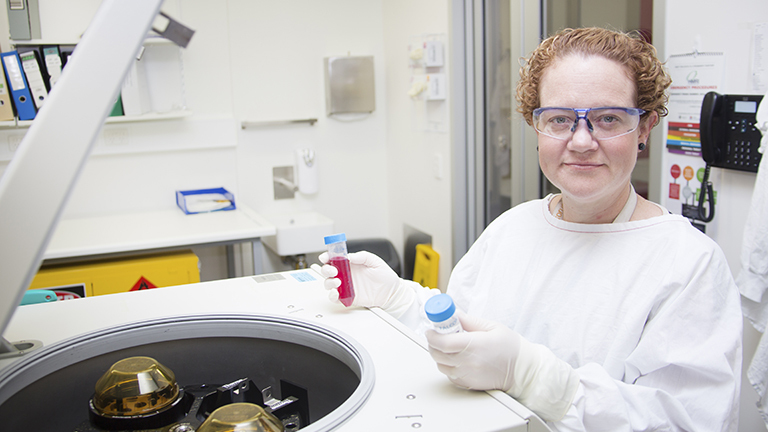 Associate Professor Nikola Bowden is the DNA Repair Group Leader and a Cancer Institute NSW Career Development Fellow in the Cancer Research Program of HMRI. She holds a PhD in Medical Genetics and B. Biomedical Science (Hons) from the University of Newcastle. Associate Professor Bowden leads a team of research staff, students and clinicians who are working together to use traditional chemotherapy in new ways to treat melanoma and ovarian cancer. Her team has also made major contributions towards understanding why melanomas develop from excessive UV-light exposure and were the first to find the DNA repair does not work well in melanomas. Associate Professor Bowden is Chair of the Australian Academy of Science Early-Mid Career Researcher Forum and was awarded a prestigious NSW Young Tall Poppy Award in 2015. Prior to this she was the University of Newcastle Young Alumni of the Year in 2011 and HMRI Pulse Prize recipient in 2006. Her team has received funding from the NHMRC, Cancer Institute NSW, Cancer Australia, Cure Cancer Australia, Ramaciotti Foundation, HMRI, Hunter Melanoma Foundation, Supporters of Cancer, the McGuigan Family, the Cameron Family, Oxfords Hockey Club and HMRI Life Governor Jennie Thomas. The DNA repair team is working towards using old chemotherapies to damage the DNA of tumours just enough that the patient’s immune system will recognise the damage and and kill the tumour. The overall aim is to reduce the amount of chemotherapy patients receive so that their immune system can help keep the cancer under control. Used in combination with new immunotherapies, this will achieve longer, healthier survival times for cancer patients. Meet the Winner of HMRI Through the Lens 2010!